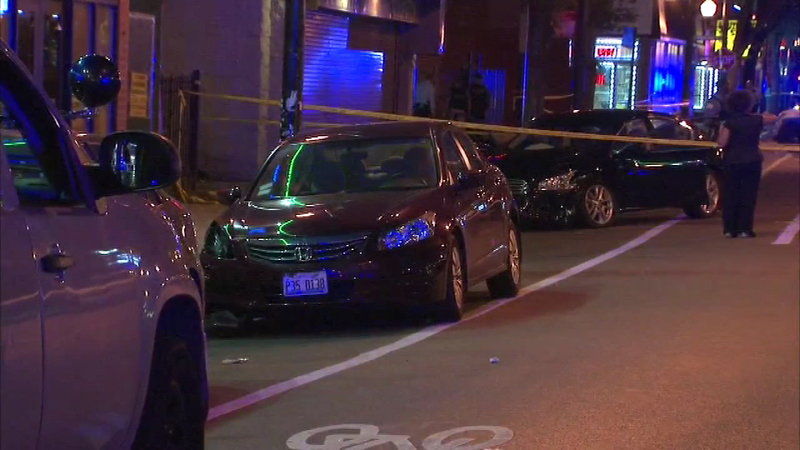 CHICAGO (WLS) -- A 52-year-old man died after being shot in a Tuesday night drive-by shooting in the Bronzeville neighborhood, police said. Three others were also injured in the shooting. The four people were shot near East 35th Street and South Prairie Avenue, near the Chicago Police Headquarters and two high schools - Chicago Military Academy and De La Salle Institute. A 20-year-old woman is in critical condition and a 18-year-old man is hospitalized in serious condition, police said. A 20-year-old man, who was shot in the leg, is also hospitalized.